You can find great local Vestavia Hills, Alabama real estate information on Localism.com Birmingham Alabama Real Estate Jason Secor is a proud member of the ActiveRain Real Estate Network, a free online community to help real estate professionals grow their business. Here is how the month of June looked for Birmingham Alabama Real Estate. As we have always stated that as a homeowner, potential resident, potential seller, or as a real estate consultant, we think it is always important to know the stats about what is happening with Hoover AL Real Estate. For this report we wanted to focus in on Greystone Real Estate in Hoover, Alabama. $522,670. The Median Price was $449,900. For June there were 15 Sold homes in Greystone AL Real Estate in Hoover, Alabama. The Average Price was $501,100. The Median Price was $485,000 with 106 Average Days on Market, at 92% of list price. Currently there are 172 Active Greystone Homes for Sale with an Average Price of $744,415 The Median Price is $649,000 with 153 Average Days on Market. If you would like to be contacted as soon as Hoover homes for sale become available in the Hoover area just let us know. To view our Hoover AL Real Estate and Community Tour go to the www.HooverRealEstateChannel.com. For more information about the Hoover Community you can also go to the Hoover Chamber of Commerce. If you would like to be contacted as soon as Greystone homes for sale become available just let us know, or to get up to date market information go to www.GreystoneHomeprices.com To view our Greystone Real Estate and Community Tour go to the Greystone Real Estate and Community Tour. *Note these Birmingham Alabama Real Estate stats are accurate as of 6/08 according to the Birmingham MLS. They are subject to change as agents submit listed and sold properties into the MLS. This Is a very informative blog , I am really pleased to post my comment on this blog . It helped me with ocean of knowledge so I really belive you will do much better in the future . Good job web master . This is very nice! The style,the ambiance,its very comfortable.Thank you for sharing. I'll check on it for some time. I currently looking for a place like this. FREE! 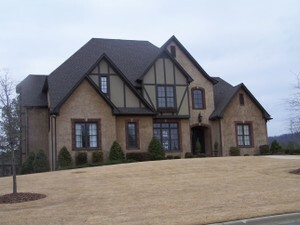 Search over 11,000 homes for sale in the Greater Birmingham Area! If you can't find your school on the above links check out GreatSchools.net to search all the schools in Alabama.